Today marks the start of my 34th year. *blows noisemaker* *throws confetti* Isn’t it fantastic? Now, someone tell me – where’s the cake? This will be my first foray into the Kindle world! I have been resisting for so long, as I love, love, love my books. I’ve had the app forever without using it. But stories like this have tempted me, and since you’re giving it away I HAVE to try it. Thanks for pushing me over the edge into the new reading reality. Awesome! I love the flexibility of the Kindle app, but I LOVE my regular books. Always will. The Hubster just bought me a Nook, the little one with no backlight, and I have to say, it’s as close to holding a book as an eReader can get. I love it. Oh, and you know…Happy Birthday. Happy Birthday!! YAY! Going to share about this in the Twitterverse. Happy Birthday!!!! Hope you have a wonderfully blessed day!! Happy Birthday, darling! 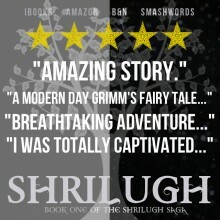 I hope you are relaxing and being pampered 🙂 I’ve got Shrilugh a long time ago on my Kindle but will definitely spread the word! Happy birthday! What a wonderful thing that I’m getting on a gift on your special day. 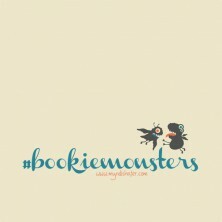 Your book has been on my TBR list, but now I’ll have it on my ereader ready to go. Thanks! I love a birthday girl who GIVES prezzies!! More evidence that you totally rock. Happy Birthday Darlin’. Have a wonderful birthday celebration, Myndi! Hope you’re having a fantabulous birthday! Cheers to another year! Oh happy day! Oh happy day! Have a most amazing year 34! Happy Birthday, Myndi! You’re still a whippersnapper! How sweet of you to give away copies of your book to celebrate! What a great gift! 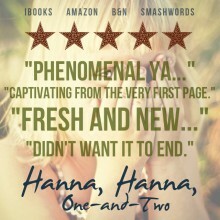 I already read it, loved it, and left a review, and am waiting for Book 2! Love your writing, girl! Happy Birthday, Myndi and thanks for the gift. I already have your book waiting patiently on my Kindle so I’m going to regift it to my granddaughter who is away at university! I know she will love it! How was the cake?